Fujitsu is a famous trademark that originated in Japan. In the field of computers, Fujitsu manufactures LCD monitors are marketing mostly in Japan, but also many other countries that import both the Fujitsu LCD monitor secondhand or a new products. If in Indonesia, Fujitsu LCD monitor can be used after adjusted a electrical power source with Indonesian standard power source: 220 volts AC, because most of the Fujitsu models using a source of electricity 110 volts AC. How to overcome the problems this can vary the voltage by adding a step-down transformer (external), but the most practical way is to modify the power supply, which is replacing the capacitor (elco) 82U/200 volts with power capacitor which has a maximum voltage limit of 400 volts , for example 82U/400 volts. 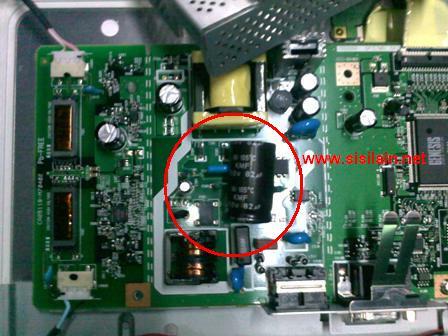 Simply by replacing the capacitor is all the output voltage converter is functioning normally. 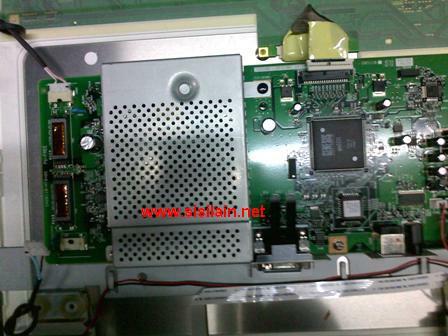 As with the other models from Fujitsu LCD monitor that uses an external adapter, of course not need to do anything on the monitor, simply replace the adapter from the 110 volt AC voltage is replaced with a 220 volt AC adapter.